One of the highlights at this year’s SEC-T conference in Stockholm was Steve Miller’s talk titled "Reversing the TriStation Network Protocol". In this talk Steve covered his quest to better understand the TRITON malware, which had been used in a targeted attack of an industrial control system (ICS). Steve didn’t disclose the type or location of the plant, saying “Don’t ask me who it was, ‘cause I can’t say” when the Q&A started. However, an article in the Wall Street Journal points out that it was a petrochemical plant in Saudi Arabia that had been hacked. The TRITON malware (also called TRISIS) was used to target a safety instrumented system (SIS) from Schneider Electric called Triconex. 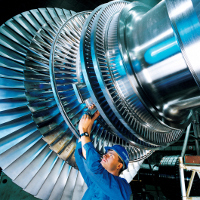 A SIS is typically not used to control the process of a plant, but rather to detect abnormal operating conditions and safely shut down the industrial process if needed. I could elaborate a lot regarding the consequences of attacking the SIS, but the good guys from Dragos have already done a great job explaining this in their “TRISIS Malware” report. 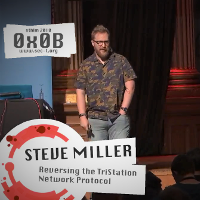 Unfortunately Steve wasn’t able to get hold of a single PCAP file with the TriStation network protocol, which made it really difficult to reverse engineer the protocol implementation in the TRITON malware. 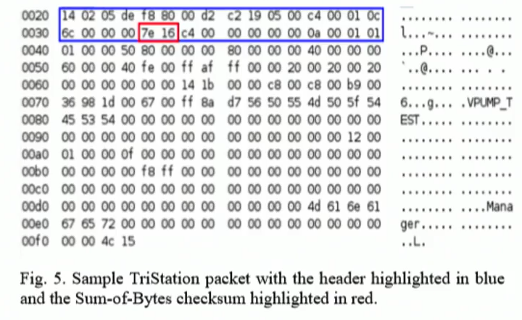 The only piece of actual TriStation network traffic he was able to get hold of was a hex dump of a TriStation packet in an academic paper. Armed with only the hexdump and Wireshark’s text2pcap Steve managed to piece together an actual PCAP file containing a single frame with a TriStation packet inside. 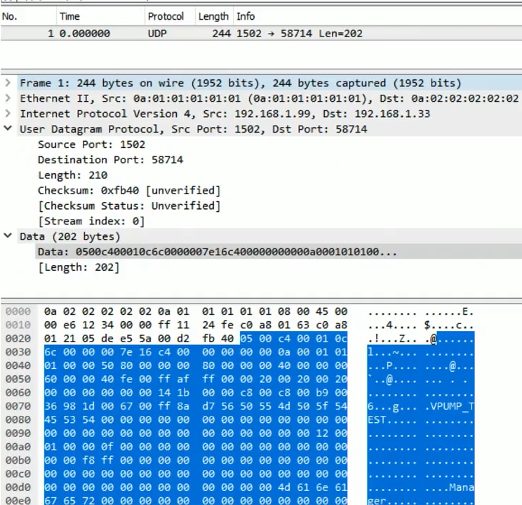 As you can see in the image above, Wireshark doesn’t decode any of the application layer data coming from TCP port 1502 (which TriStation uses). He therefore implemented a Wireshark Lua dissector for the TriStation protocol. And some time later the people from Nozomi Networks even implemented a proper Wireshark dissector for the TriStation protocol. I’ve been trying to convince asset owners, who use ICS in their power plants, factories, water treatment facilities etc, to start capturing the network traffic and storing it as PCAP files for many years now. However, asset owners sometimes try to argue that there is no point in capturing their traffic since it is using a proprietary protocol. Even Ralph Langner has opposed to the idea of capturing ICS network traffic in a blog post, which I have criticized. So, how difficult is it to write a parser for a proprietary protocol? I have personally implemented support for over 30 application layer protocols in NetworkMiner, but unlike Steve I’ve always had access to at least one PCAP file and some form of documentation of the protocol. However, I’ve found that many real-world protocol implementations don’t follow specifications properly. 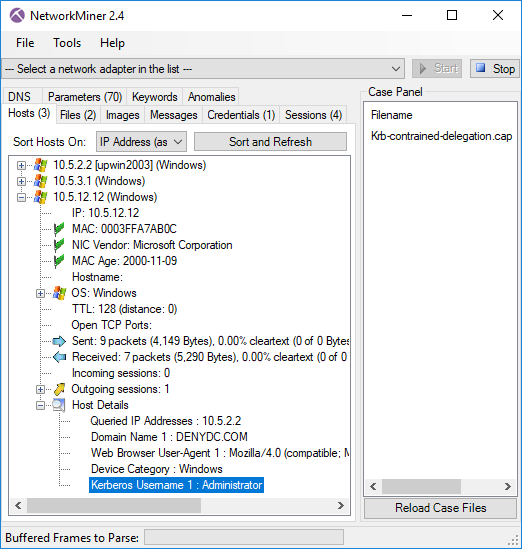 In these cases I’ve found that having access to PCAP files with real-world network traffic is more important than having a full protocol specification. Even complex proprietary protocols like the old proprietary Skype protocol has been reverse engineered, so with access to network traffic of a protocol combined with a binary that uses this protocol I’d say that pretty much any network protocol can be reverse engineered. Steve’s SEC-T talk also proves that ICS protocols are no different, since they too can be reverse engineered without having a protocol specification or RFC. Capturing network traffic in ICS networks is never wrong. There might not be parsers available today for all the protocols you’re using. But once a parser or IDS signature becomes available for the protocol you’re using, you can simply use that to analyze previously captured network traffic from your ICS network. Also, in the wake of an incident you might actually end up writing a parser (as in the TRITON case) or a custom IDS rule, in which case having historical network traffic from your plant in invaluable! For more information on this topic I’d suggest reading my blog post titled “Monitor those Control System Networks!” from 2011, which still is highly relevant. I’m also happy to announce that two PCAP files containing TriStation network traffic have been linked from our list of publicly accessible PCAP files today (see the “SCADA/ICS Network Captures” section). And remember: PCAP or it didn’t happen! 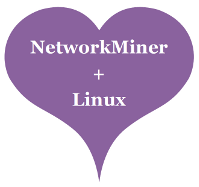 I released the first version of NetworkMiner on February 16, 2007, which is exactly 10 years ago today. One of the main uses of NetworkMiner today is to reassemble file transfers from PCAP files and save the extracted files to disk. However, as you can see in the screenshot above, the early versions of NetworkMiner didn’t even have a Files tab. 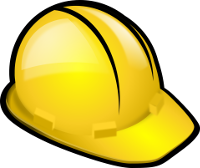 In fact, the task that NetworkMiner was originally designed for was simply to provide an inventory of the hosts communicating on a network. So, why did I start designing a passive asset detection system when I could just as well have used a port scanner like Nmap to fingerprint the devices on a network? Well, I was working with IT security at the R&D department of a major European energy company at the time. As part of my job I occasionally performed IT security audits of power plants. During these audits I typically wanted to ensure that there were no rouge or unknown devices on the network. The normal way of verifying this would be to perform an Nmap scan of the network, but that wasn’t an option for me since I was dealing with live industrial control system networks. I knew from personal experience that a network scan could cause some of the industrial control system devices to drop their network connections or even crash, so active scanning wasn’t a viable option. Instead I chose to setup a SPAN port at a central point of the network, or even install a network TAP, and then capture network traffic to a PCAP file during a few hours. I found the PCAP files being a great source, not only for identifying the hosts present at a network, but also in order to discover misconfigured devices. However, I wasn’t really happy with the tools available for visualizing the devices on the network, which is why I stated developing NetworkMiner in my spare time. As I continued improving NetworkMiner I pretty soon ended up writing my own TCP reassembly engine as well as parsers for HTTP and the CIFS protocol (a.k.a SMB). With these protocols in place I was able to extract files downloaded through HTTP or SMB to disk with NetworkMiner, which turned out to be a killer feature. 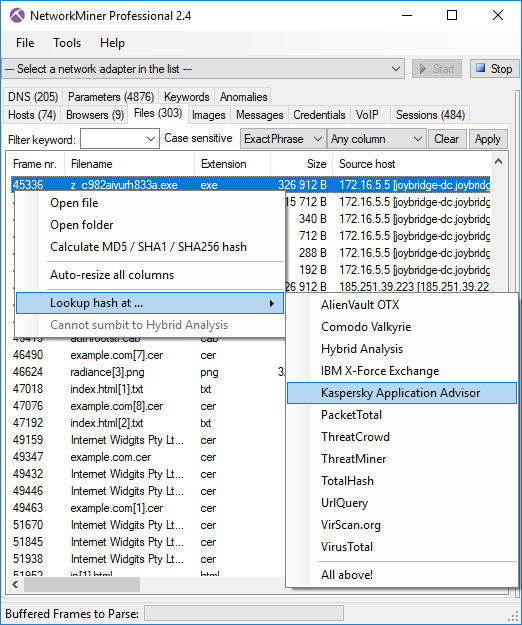 With the ability to extract file transfers from PCAP files NetworkMiner steadily gained popularity as a valuable tool in the field of network forensics, which motivated me to make the tool even better. Throughout these past 10 years I have single-handedly implemented over 60 protocols in NetworkMiner, which has been a great learning experience for me. 2008-08-01 NetworkMiner is featured in Russ McRee’s toolsmith column for August 2008. 2011-03-04 First release of NetworkMiner Professional and the command line version NetworkMinerCLI. 2011-11-19 Cross platform support (works in Linux, Mac OSX etc). People sometimes ask me what I’m planning to add to the next version of NetworkMiner. To be honest; I never really know. In fact, I’ve realized that those with the best ideas for features or protocols to add to NetworkMiner are those who use NetworkMiner as part of their jobs, such as incident responders and digital forensics experts across the globe. I therefore highly value feedback from users, so if you have requests for new features to be added to the next version, then please feel free to reach out and let me know! I attended to the Swedish industrial cyber security conference 4SICS last month and brought back a bunch of PCAP files. Not just any PCAP files, but captured network traffic from the ICS lab that was set up in the Geek Lounge at 4SICS. These PCAP files are now made publicly available here, because captured network traffic from ICS/SCADA networks is a really scarce resource. 4SICS is the the leading Industrial Control System (ICS) security conference in Europe, which brings in speakers and attendees from all around the world. I tought a one-day class on analyzing network traffic as part of the pre-conference training at 4SICS. In this class we analyzed PCAP files containing industrial protocols, such as Modbus/TCP and IEC-104. Unfortunately there aren't many capture files around that carry these protocols, so the ICS analysis part in my class wasn't as advanced as I wanted it to be. I have been aware of this limited access to ICS traffic for some time now, which is why I decided to work with the 4SICS crew in order to set up a sniffer in the ICS lab at the 4SICS conference. 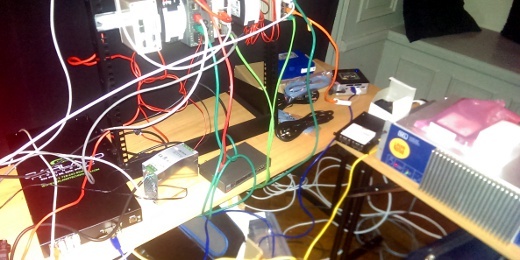 This lab contained devices such as PLCs, RTUs, servers, industrial network equipment (switches, firewalls, etc), which were available for hands-on "testing" by 4SICS attendees. The network TAP vendor Garland were Technology Partners at 4SICS, so I didn't even have to bring a network TAP to the lab. I just connected my sniffer machine and let it record for three days. Chris Sistrunk also joined the sniffing party later in the conference by connecting his SEL-3355, which runs SecurityOnion, to the network TAP. It has, so far, been publicly reported that three ICS vendors have spread the Havex Remote-Access-Tool (RAT) as part of their official downloads. We've covered the six pieces of software from these three vendors in our blog post ”Full Disclosure of Havex Trojans”. In this blog post we proceed by analyzing network traffic generated by Havex. As you can see, four variables are sent in the QueryString of this HTTP POST request; namely id, v1, v2 and q. 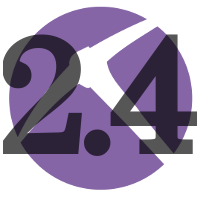 Let's take a closer look to see what data is actually sent to the C2 server in the QueryString. I had the pleasure to discuss the Havex Malware with Joel Langill, when we met at the 4SICS conference in Stockholm last month. Joel was nice enough to provide me with a 800 MB PCAP file from when he executed the Havex malware in an Internet connected lab environment. 970167 frames parsed in 1337.807 seconds. All three extracted modules are known binaries associated with Havex. The third module is one of the Havex OPC scanner modules, let's have a look at what happens on the network after this module has been downloaded! In Joel's PCAP file, the OPC module download finished at frame 5117. Less then a second later we see DCOM/MS RPC traffic. To understand this traffic we need to know how to interpret the UUID's used by MS RPC. Of these commands the ”IOPC Browse” is the ultimate goal for the Havex OPC scanner, since that's the command used to enumerate all OPC tags on an OPC server. 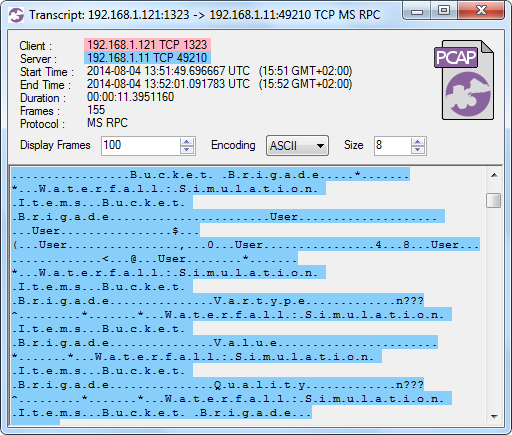 Now, let's have a look at the PCAP file to see what OPC commands (i.e. UUID's) that have been issued. We can thereby verify that the IOPCBrowse command was sent to one of Joel's OPC servers in frame 5285 and 5286. However, tshark/Wireshark is not able to parse the list of OPC items (tags) that are returned from this function call. Also, in order to find all IOPCBrowse commands in a more effective way we'd like to search for the binary representation of this command with tools like ngrep or CapLoader. It would even be possible to generate an IDS signature for IOPCBrowse if we'd know what to look for. 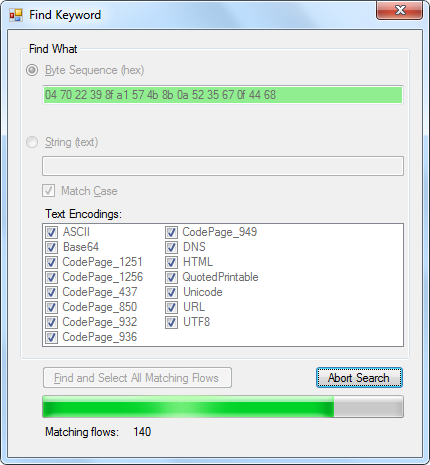 Apparently 169 flows contain one or several packets that match the IOPCBrowse UUID. Let's do a “Flow Transcript” and see if any OPC tags have been sent back to the Havex OPC scanner. Oh yes, the Havex OPC scanner sure received OPC tags from what appears to be a Waterfall unidirectional OPC gateway. Another way to find scanned OPC tags is to search for a unique tag name, like “Bucket Brigade” in this example. I did a talk on "SCADA Network Forensics" at the 4SICS conference last week, where I disclosed the results from my analysis of the Havex RAT/backdoor. The Havex backdoor is developed and used by a hacker group called Dragonfly, who are also known as "Energetic Bear" and "Crouching Yeti". Dragonfly is an APT hacker group, who have been reported to specifically target organizations in the energy sector as well as companies in other ICS sectors such as industrial/machinery, manufacturing and pharmaceutical. In my 4SICS talk I disclosed a previously unpublished comprehensive view of ICS software that has been trojanized with the Havex backdoor, complete with screenshots, version numbers and checksums. Following Dale's request we decided to publish the information presented at 4SICS also in this blog post, in order to reach as many affected asset owners as possible. The information published here is based on our own sandbox executions of Havex malware samples, which we have obtained via CodeAndSec and malwr.com. In addition to what I presented at 4SICS, this blog post also includes new findings published by Joel "scadahacker" Langill in version 2.0 of his Dragonfly white paper, which was released just a couple of hours after my talk. The first vendor known to have their software trojanized by the Dragonfly group was the Swiss company MESA Imaging, who manufacture industrial grade cameras for range measurements. The second vendor to have their software trojanized was the Belgian company eWON, who provide a remote maintenance service for industrial control systems called “Talk2M”. Back in January 2014, the eWON commercial web site www.ewon.biz had been compromised. A corrupted eCatcherSetup.exe file had been uploaded into the CMS (Content Management System) of www.ewon.biz web site. eCatcher download hyperlinks were rerouted to this corrupted file. The corrupted eCatcherSetup.exe contained a malware which could, under restricted conditions, compromise the Talk2M login of the infected user. 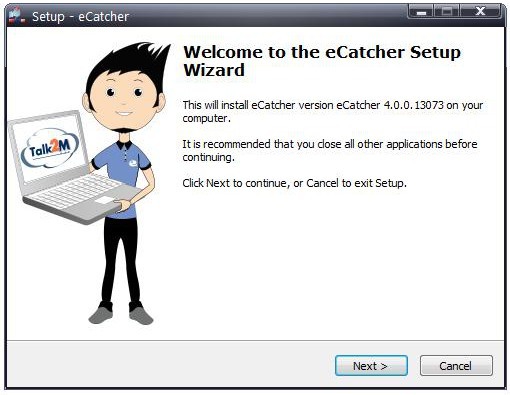 Prior to version 2.0 of Joel's Dragonfly report, eCatcher was the only product from eWON known to be infected with the Havex backdoor. 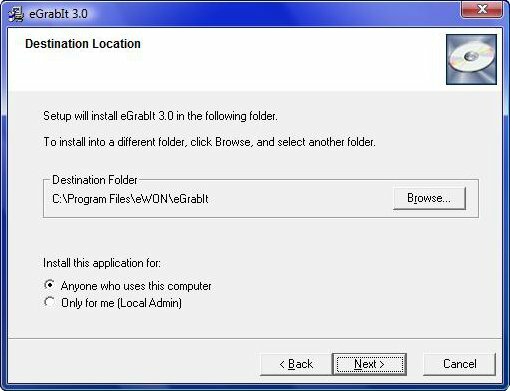 However, Joel's report also listed a product called “eGrabit”, which we managed to obtain a malware sample for via malwr.com. 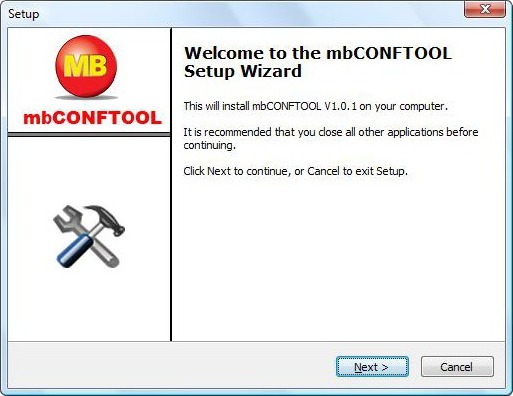 The most recent company known to have their software infected with the Havex backdoor was the German company MB Connect Line GmbH, who are known for their industrial router mbNET and VPN service mbCONNECT24. On 16th of April 2014 our website www.mbconnectline.com has been attacked by hackers. The files mbCHECK (Europe), VCOM_LAN2 and mbCONFTOOL have been replaced with infected files. These files were available from 16th of April 2014 to 23th of April 2014 for download from our website. All of these files were infected with the known Trojan Virus Havex Rat. 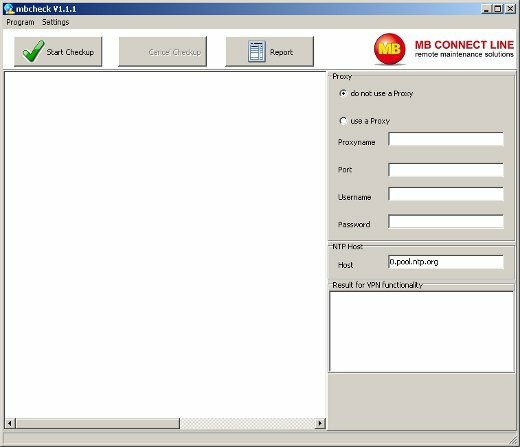 Notice how only mbCHECK for users in Europe was trojanized, there has been no report of the USA/CAN version of mbCHECK being infected with Havex. 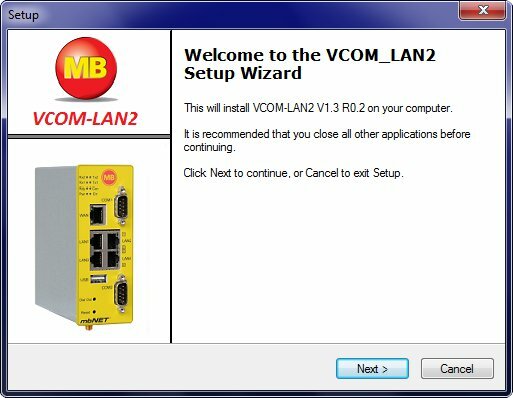 We have not been able to get hold of a malware sample for the trojanized version of VCOM_LAN2. 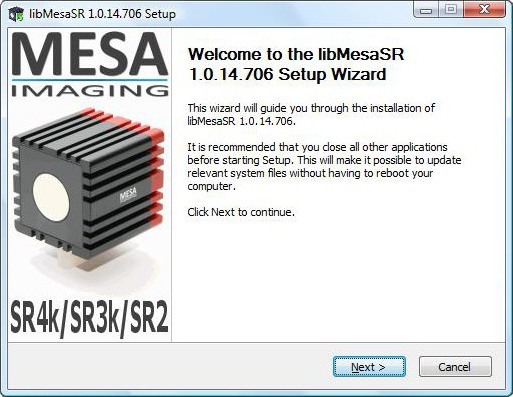 The screenshot below is therefore from a clean version of this software. The vendors who have gotten their software trojanized by Dragonfly are all European ICS companies (Switzerland, Belgium and Germany). Additionally, only the mbCHECK version for users in Europe was infected with Havex, but not the one for US / Canada. These facts indicate that the Dragonfly / Energetic Bear threat actor seems to primarily target ICS companies in Europe. Read our follow-up blog post Observing the Havex RAT, which shows how to detect and analyze network traffic from ICS networks infected with Havex. A great way to enable digital forensics of control system networks is to implement network security monitoring. Captured network traffic is a great source for evidence when analyzing an attackers steps as he attempts to hack a SCADA system. The newly added support for the IEC-104 protocol in NetworkMiner also allows investigators and incident responders to see what commands the attacker sent to the control system. 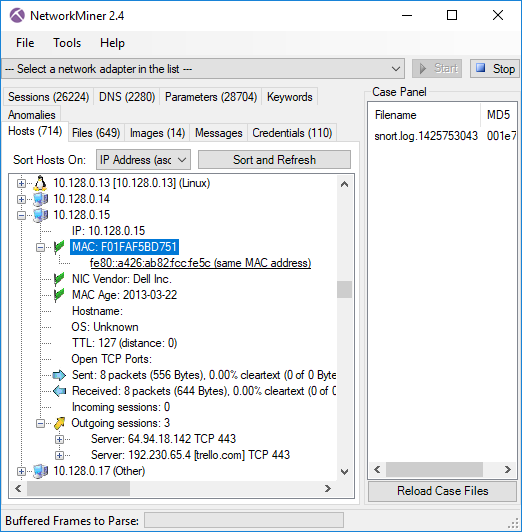 We at Netresec recently announced the release of NetworkMiner 1.4, which comes with a parser for the SCADA protocol IEC 60870-5-104 (aka IEC-104). Bringing this Industrial Control System (ICS) protocol into NetworkMiner is a first step to support forensics of compromised ICS networks. The traffic from ICS networks does, of course, need to be captured (sniffed) in order to support network forensics; we are strong supporters of such network monitoring for ICS networks (read our “Monitor those Control System Networks” blog post for more details). Computer forensics typically involves performing forensic analysis of hard disks. Disk forensics is very effective when analyzing a hard drive from a PC (like an operator workstation), but far more complicated when it is an embedded device like a PLC or RTU that is to be analyzed. Even though the hack was later shown to just be just a false alarm, David’s point about lacking capabilities for digital forensics and incident response for this type of critical infrastructure still holds true. As Joe and David say, the ability to perform digital forensics in SCADA systems is truly lacking today. 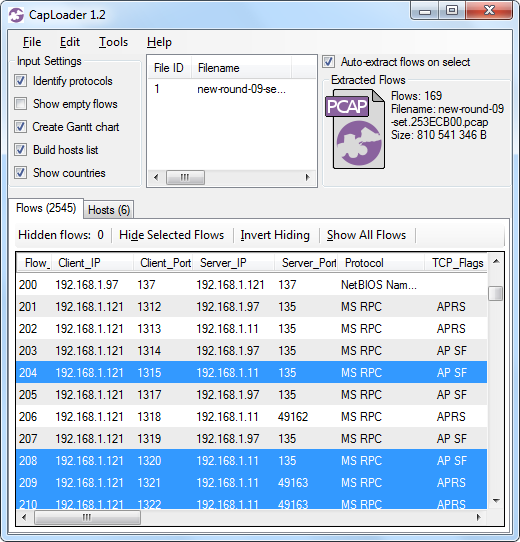 Our propose with this blog post is to inform control system operators that forensic data/evidence can be easily collected from ICS / SCADA systems by implementing a simple solution for network monitoring with full packet capture. The SCADA network diagram below has been sectioned into multiple security zones according to the zoning principle published by Jens Z, Iiro and me at CIRED 2009 (our zones align nicely with ISA-99 security Levels by the way). The purple octagons represent interconnections between zones. Each such interconnection should be secured with perimeter protection, typically by a firewall, but we additionally argue that all network traffic passing through should be captured and stored as pcap files. Storing all network traffic this way makes it possible to perform network forensics on the network traffic after an intrusion is believed to have taken place. We recommend a very simple setup, where a network tap is used to provide a copy of all traffic to a sniffer. An acceptable alternative to buying a network tap is to configure a monitor / SPAN port on a switch (see our sniffing tutorial “Intercepting Network Traffic” for more details on how to choose sniffing hardware). Our recommended solution for the sniffer is to install FreeBSD with dumpcap (part of the net/tshark ports package). An even easier solution is to install Doug Burks’ Security Onion, which is a Linux distro built especially for network security monitoring. More about configuring a sniffer can be found in our second sniffing tutorial titled “Dumping Network Traffic to Disk”. Let’s assume the file 090813_diverse.pcap from pcapr contains network traffic from a suspected security breach at a hydro-power plant. Let’s also assume that parameter 4821 (i.e. 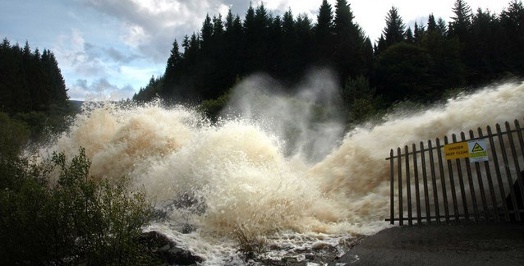 IOA 4821 in IEC-104 language) controls the floodgates of the plant’s dam, where setting a value greater than 0% for this parameter would mean opening the floodgates. 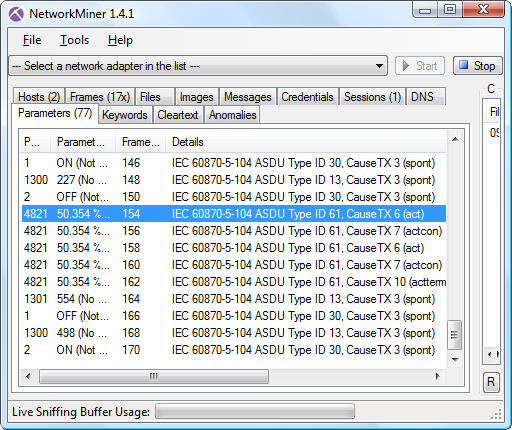 By loading the pcap file into NetworkMiner and selecting the “parameters” tab we can see a nice log of all IEC-104 communication. NOTE: We’ve hidden several fields (like IP, port, time etc) in the screenshot above in order to make it fit. Frame 162 - The RTU reports that the requested command has been successfully completed, i.e. floodgates are now open! Would you like to see more ICS protocols in NetworkMiner? We’d be happy to implement protocols like DNP3, MODBUS, ICCP, Siemens S7, IEC 61850, etc. if you can provide us with captured network traffic! Please send an email to info[at]netresec.com if you are interested! "Configure an intrusion detection system (IDS) to monitor traffic for unusual or unauthorized activity. Monitor traffic on the ISO-TSAP protocol, Port 102/TCP. Monitor traffic being unexpectedly sent outside the automation network. Monitor traffic between workstations. This traffic may be indicative of attacker pivoting through your network"
"It would be interesting to learn how the authors of the advisory suggest this should actually be done. We wonder if they have ever peeked into the data traffic of a Siemens PLC’s port 102 in a real installation [...] In order to make any sense out of TCP port 102 traffic it is required to do deep packet inspection. Unfortunately, the details of the layer seven protocol that needs to be analyzed, along with certain peculiarities at layer four such as pre-defined binary TSAPs, are not documented by the vendor. So in essence what ICS-CERT suggests is that asset owners start reverse analyzing the S7 protocol in order to configure their intrusion detection systems, which seems like a far stretch." So, is Langner saying that the Siemens S7 protocol is too complicated to be reverse engineered? If encrypted and strongly obfuscated protocols like Skype can be reversed, then the S7 protocol should be a piece of cake. I've manually reverse engineered multiple protocols when building protocol parsers for NetworkMiner, and I can testify that most unencrypted and non-obfuscated protocols can be reversed in just a few hours. It would therefore be quite simple for IDS vendors to add support for the S7 protocol to their software. I also believe that even a very rudimentary IDS functionality, which just checks which IP addresses that are communicating over TCP port 102, would provide value. Such a simple feature doesn't even require the IDS vendor to implement a parser for the S7 protocol or even the ISO-TSAP protocol. "While the advice per se might not be completely wrong, we don’t see any relation to the Beresford vulns which highlight the risk of process manipulation, not the risk of industrial espionage and exfiltration of trade secrets." A machine on an ICS network trying to contact an external IP address is typical Indicator of Compromise, but Langner fails to understand this basic principle of network security monitoring and incident response. Malware very often use outbound connections to access Command-and-Control servers as well as to download additional software to maintain its foothold on the infected machine. I'm certain that this is why ICS-CERT recommend asset owners to monitor for outgoing traffic, especially since ICS systems normally don't communicate with external systems and typically don't host any confidential data or "trade secrets". A point that ICS-CERT failed to stress, however, is the need for asset owners to also store the full content network traffic (pcap files) from their network monitoring installations. This is an absolute necessity when investigating an alert from an IDS in order to better determine if an event is a security incident or just a false positive. More on capturing network traffic can be read in my blog post Sniffing Tutorial part 2 - Dumping Network Traffic to Disk. 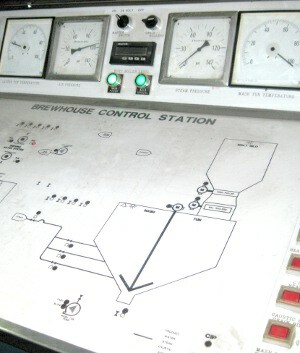 Monitor those Control System Networks! Network security monitoring is an ideal security feature to apply to industrial control system networks. Owners of the IT-systems that control our critical infrastructure have unfortunately not yet understood the usefulness of monitoring their own network traffic. SCADA security has in the past few years become a hot topic at mainstream hacker conferences like BlackHat and DEFCON. Stuxnet has also increased the interest for SCADA security even more in the “traditional” IT security and hacking community. 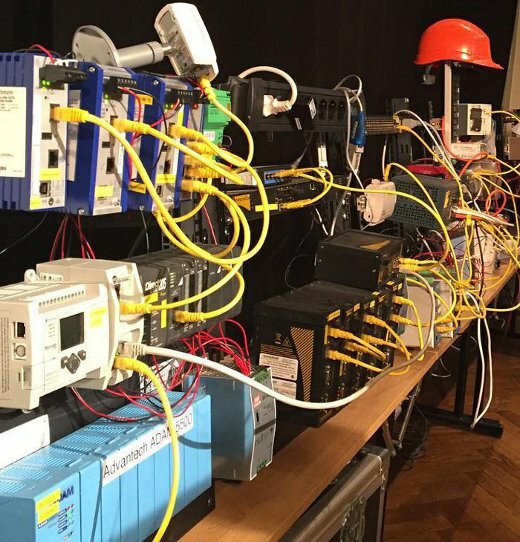 This interest has caused security researchers to find and publicly disclose multiple vulnerabilities in SCADA and Industrial Control Systems (ICS). Having worked with IT security for a major electric utility company (in the pre-Stuxnet era) I know from my own experience that the resilience against network based hacking attacks varies greatly between different brands and models of PLCs and RTUs. But an attacker with access to a control system network don't need to use any vulnerability to control a PLC. The reason for this is that the communication protocols used by these embedded devices don't use authentication. The attacker can therefore simply send any commands he wishes to the PLCs to make them open a dam gate, blow a generator or spin a centrifuge out of control; no vulnerabilities needed! This morning I read a blog post titled “PLC’s: Insecure By Design v. Vulnerabilities” written by Dale G Peterson (an old friend from my SCADA security days). In this blog post Dale stresses the fact that many control system devices are “Insecure By Design”. He also mentions Secure DNP3 (an encrypted SCADA protocol that basically is an American fork from the IEC 60870-5 standard), which can increase security by introducing authentication and encryption. I've always been against introducing any form of encryption in control system environments since availability is what's needed in these environments, not confidentiality! Adding encryption is also against the KISS principle, which should always be a foundation when designing control systems. Instead I see two major efforts that the ICS community need to carry out in order to achieve better security. The first effort is to segment the ICS networks into different security zones and apply appropriate perimeter protection between the zones. The second effort is to establish proper network security monitoring of the control system networks. Segmentation and perimeter protection are nowadays widely accepted measures in the ICS community. There are even special ICS firewall vendors, such as Tofino, RuggedCom and Moxa. Even crazy concepts such as “unidirectional gateways” are successfully used to protect critical ICS networks. Ignoring the fact that they write “passive scanning” when they refer to “sniffing” or “network monitoring” I can't really believe that DHS recommend control system owners to avoid monitoring their own network traffic. Shame on you DHS! Embedded devices used in control systems do often have poor or none-existent host based security logging. Event logs as well as security logs can be built simply by sniffing and analyzing sniffed network traffic, without having to introduce any additional complexity to the embedded devices. There is usually no centralized administration of the devices on a control system network, and network diagrams often differ significantly from the reality. Performing an NMAP scan of a control system network isn't suitable since that actually can cause some devices to crash (trust me! ), but an inventory of the devices on a network can easily be created simply by sniffing network traffic. See my article “Passive Network Security Analysis with NetworkMiner” for more details. Viruses and worms can get to even isolated/air gapped networks, either through USB flash drives or through infected laptops that get connected to the isolated network. Many viruses can be detected simply by looking at the network traffic they generate when they attempt to establish a connectionto a command-and-control server. In the case with Stuxnet, for example, the infected machines would try to establish connections to the domains mypremierfutbol [dot] com and todaysfutbol [dot] com. Any attempts to lookup external DNS names from within an isolated network are always worth looking closer at! Prevention eventually fails, i.e. no matter how secure you think your network is someone or something will eventually penetrate your perimeter protection. So you'll better be prepared! The best way to find out if you are infected is to monitor your network for suspicious traffic. Network security monitoring is simple and doesn't affect the network being monitored! Check out my sniffing tutorials “Intercepting Network Traffic” and “Dumping Network Traffic to Disk” to get an introduction.